As of May 25, 2018 there are new regulations going into effect to protect your personal data. Consider this page to be my full acknowledgement of the new European GDPR (General Data Protection Regulations) as it affects my readers/authors/bloggers/publisher, etc. outside of the United States, and reassures my readers within the US. At this time, I only use Feedburner (a Google product) to obtain subscribers to my blog. As such, you, yourself, have to personally sign up to receive emails from me and you, yourself, have to authorize these emails (which you will receive almost daily, as that is how I have my blog posts published). I do NOT manually subscribe anyone to any email list or subscription. The email addresses are stored in the Google platform, and yes, I have access to them - HOWEVER, I never use the email addresses stored in Feedburner for any reason outside of what they are stored for - getting a daily email from me with my daily blog posts listed for your convenience. You are able to UNSUBSCRIBE at any time and you will not hear from me again (unless you change your mind and resubscribe). You received this message because someone requested an email subscription for (your email will be shown here) to a FeedBurner feed. If you did not make this request, please ignore the rest of this message. (Your activation link will be here for you to click). You received this message because someone requested a subscription to the feed, Sapphyria's Books. If you received this in error, please disregard. Do not reply directly to this email. If you leave comments on any of my blog posts, you understand that I have access to your comments, as do others. If you use the Blogger/Google platform, you also have a profile. By leaving a comment on my blog, I, along with anyone else who visits my blog, can click on your user name link in the post and visit your blog/website, profile, or whatever landing page you have associated with your name in the comments. I do not have control over that. You information is only collected for the comment and is not used for any other purpose. Sapphyria's Books, Sappyria's Book Promotions, or any other entity I own will not use this information to contact you for any reason. I moderate comments that are posted more than a week after a post has gone live and anyone who posts anonymously. Also, I use the highest spam guard on Blogger to catch anything else that looks fishy. All spam or inappropriate comments are submitted to Google as spam and permanently deleted. Any physical addresses or email addresses that I collect for the purpose of providing a giveaway (free physical books, free ebooks, free giftcards, free bookmarks, other free promotional items) are only used for that purpose. I either provide the free item myself, or I forward your information on to the author, giveaway host, promotional company, publishing company, or supplier of the item in order for them to send you your prize. Please keep in mind that you are voluntarily providing your personal information in exchange for the chance to win something free of charge, or because you won something free of charge. If you don't want to have your personal information stored or handled by anyone, please do not enter the giveaway. I never sell or share physical or email addresses, except for what I noted above regarding giveaways. 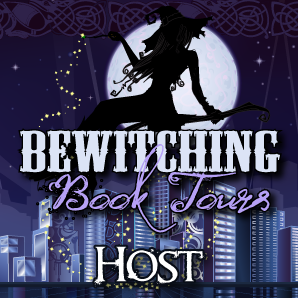 If you are a tour host for Sapphyria's Book Promotions, you have agreed to allow me to send you tour invitations for books authors/publishing companies have hired me to promote. Each tour invitation I send out has a spot at the end for you to choose to become a member of my team, not become a member of my team, or to remain a member of my team. Your information is safely stored in a Google Doc and/or Google Spreadsheet. I do not, and will not, ever sell your personal information with anyone, nor will I ever share your information with anyone without your expressed permission. I will eventually create a MailChimp newsletter. I will update this blog page when that occurs. Thank you for following my book reviewing, blogging, and promotions adventures!